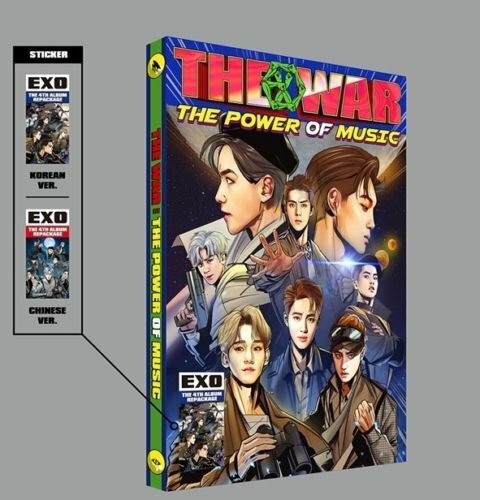 EXO - 4th Repackage Album Korean and Chinese Versions Sealed package include two sets of package where each has CD, 1 Graphic Novel Comics (Randomly selected 1 out of 10 ), 16 Character Cards, 4 Double cards, 1 Group Card, 1 Manual, and 1 Random Card (Random 1 out of 16). Officially distributed Brand New & Factory Sealed CD. Your purchase quantity will be count on Korea HANTEO & GAON Chart!